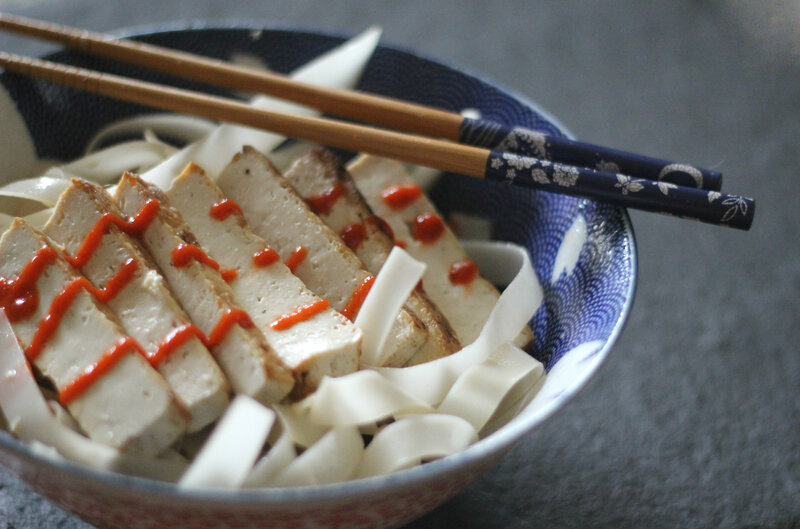 the key to this life-alteringly simple lunch is the sauce. it’s all in the sauce! also, is life-alteringly a word? 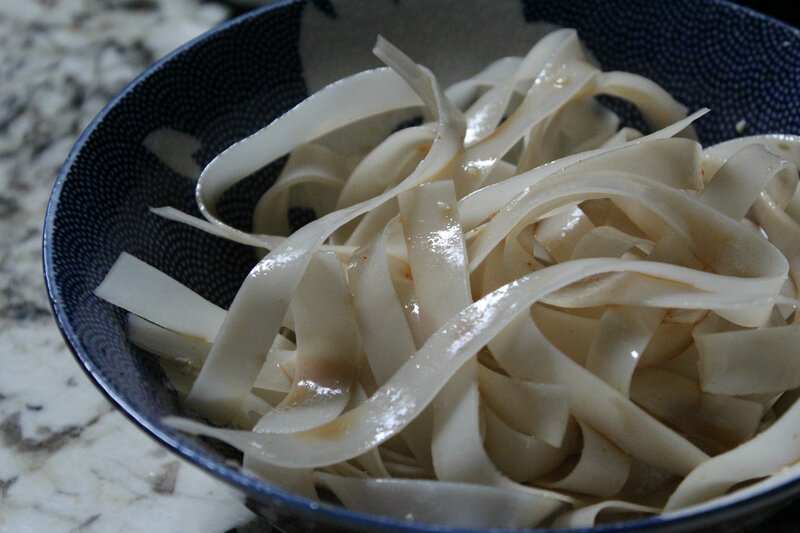 not sure if it’s a byproduct of being married to a japanese dude or being married to a chef.. but we seem to always have a bag of rice noodles in the fridge. you know, just cook more than you need and then keep the rest in a ziplock. so handy. make the sauce, toss the noodles in the sauce, top with whatever left over meat (or tofu) you have in the fridge and voila! 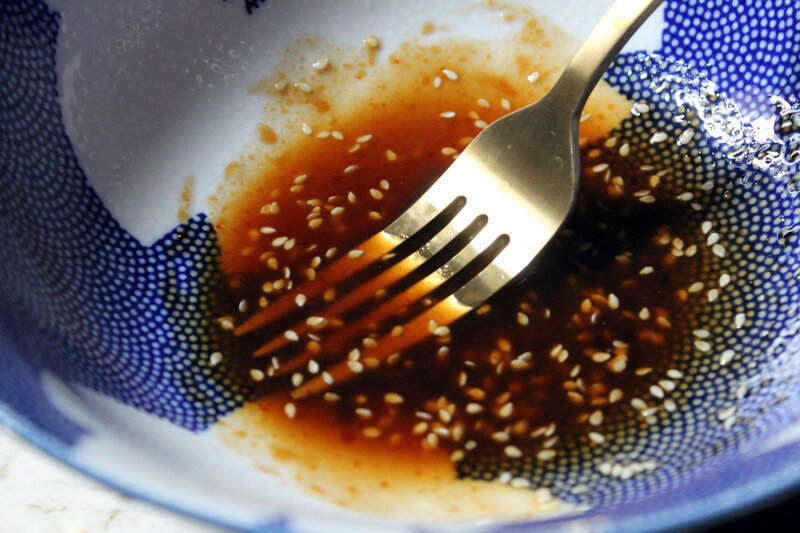 i go 1:1 with the olive oil and soy sauce, then half as much sesame oil, fish sauce and sriracha. 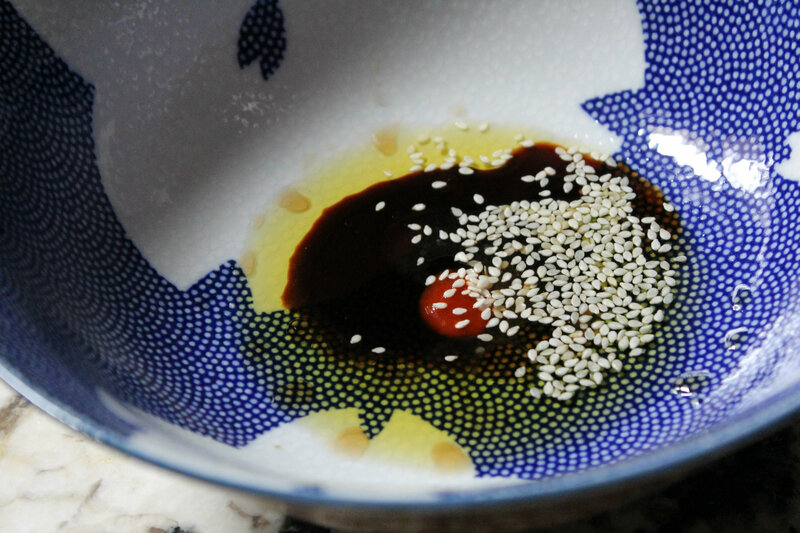 add a spoonfull of sesame seeds and whisk together with a fork. that’s a good template to start with, but if you like more of something add more! i usually go a little heavy handed with the soy sauce, but you do your thing! these are your garbage noodles! it whisks together like this, and gets kind of thick. add the rice noodles and toss to coat. pop your favorite topping on, into the microwave for a minute or so… and there you have it! the most simple, delicious, #notasaddesklunch you’ve ever had!